Like many other motorsport races, this too is one that attracts a lot of viewers, most of them more or less directly hoping for some accident to happen. Yeah, most do not accept or say it out loud but it is the potential for things to go wrong that draws them in, well, while it may be a bit of a darker human face, it is one that is nevertheless there. 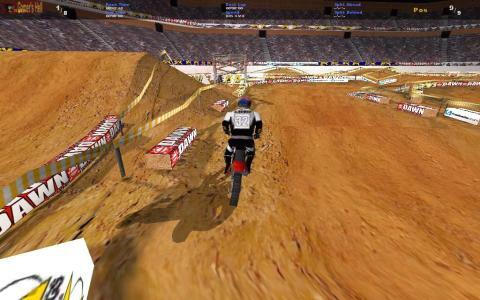 But, then again, a PC recreation of the game can take a lot of that anguish away, especially for those that want to be in the seat of the one driving rather than just looking, being a spectator, and therefore, in Supercross Kings you get that chance to explore the hazards of the interior dirt track and the acrobatics that come with it. Graphically the game is more than well produced, oozing that clean 2000 vibe; many will appreciate it instead of more recent titles that just make use of too much Bloom or other such cheap effects. Nope, Supercross Kings just draws everything well enough and allows the game to be played as you see fit. Controls wise this is more of a arcade experience, but never mind, it is a very nicely done one. 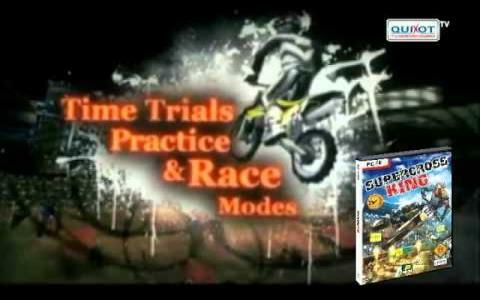 Similar to Extreme Motocross another game you might want to try if you like this one here.